Combine all of the ingredients in a pot and place over medium heat, stirring constantly. Cook until the mixture begins to boil and to thicken. Turn off the heat and remove the cardamom seeds and cinnamon sticks. Store in a glass container and refrigerate for two hours or until well chilled. 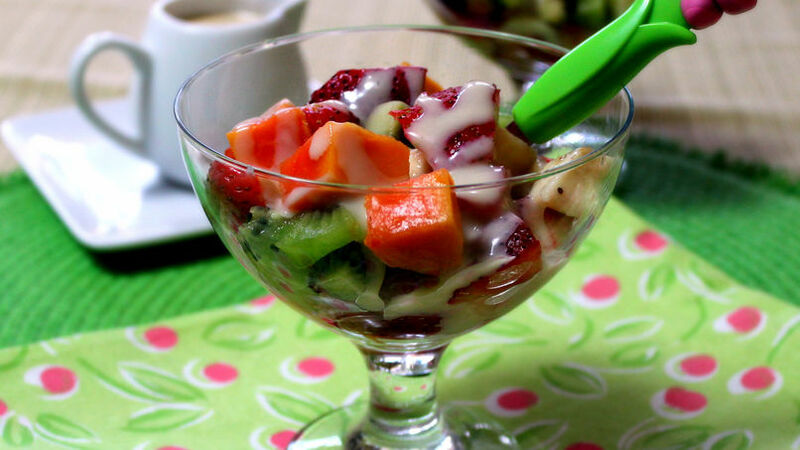 Serve this creamy topping over your favorite fruits. The coconut milk can be omitted if desired. You can store the creamy sauce in a tightly sealed container and preserve in the refrigerator for 3 to 4 days. Don’t forget the fruit on your family’s menu; this creamy topping will be your best ally for enjoying more fruit in your meals. Easy to prepare, this cream can be kept in the fridge for several days and it can be used with fruit salads or homemade fruit tarts.